Products & Solutions - ALI6 S.r.l. HyREI is the right solution to get out of the dark, being independent and manage energy and energy-saving in a more flexible way. HyREI is a sophisticated stand-alone electronic device able to manage energy production coming from renewable and traditional energy sources in a rational and efficient way by serving energy needs partially or totally for industrial or domestic electricity end- users. 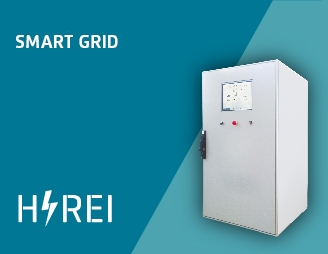 HyREI is a SMART GRID system able to create your own electrical grid. HyREI is an highly flexible and modular product, adaptable to several applications and several size (from 500 W to 1000 Kw and over). Moreover, HyREI permits to monitor ever and everywhere your power grid thanks to a SCADA system designed and made custom for him. HyREI enables high performance in terms of power availability 24/7. HyREI algorithm for the smart management of all sources of energy aimed at the optimization of the overall cost. from 30% to 90% Energy savings. 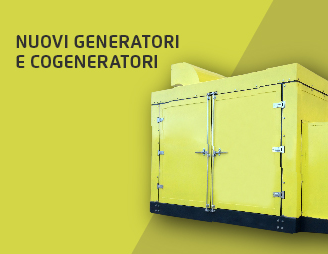 The transition from the batteries to generator or electricity network is made without any interruption. Simultaneous use of several energy sources: solar, wind, hydro, syngas, biogas and traditional sources. HyREI range from 0.5 kW to 1000 kW and more, in a modular way. HyREI management system is able to self-learn the load curves, the habits of users and environmental data forecast. HyREI has a function that stabilizes voltage and frequency. This feature is very useful for the protection of electronic devices without using local UPS. HyREI is able to power different buildings, a village or even a little city and very often it is the cheaper way to produce electricity, in cost-benefit terms. In the most of remote places in which there aren't network services, HyREI is the right technology to provide water, it powers the pumping and/or the water treatment process. During the day HyREI transform solar energy in electricity, night-time batteries release electricity collected to power particular LED bright systems suitable for street lighting. HyREI is also active to power transmitters and repeaters for telecom sites. Lower losses of transmission and distribution to the national electricity system arising from the location of the plants near the catchment areas and dall'autoconsumo energy produced.